We’re super excited to be chatting with David Malki, co-author of Machine of Death, and co-designer of the game with the same name. Machine of Death the game is currently a runaway train on Kickstarter, and we couldn’t be happier to have a chance to have some Q & A with David. David, thanks so much for taking a few minutes to chat with us! Let’s talk about the book form of Machine of Death, and This is How You Die; tell us a little about how the books came to be, and your involvement in them. The books are collections of short stories, all by different authors, that all share a common premise: the idea of a machine that can predict how you die. If such a machine were to exist, how would that change everything about the world we know? Every author started with that central idea and wrote a story exploring some different facet of that concept. The original idea came from a Dinosaur Comic by Ryan North. After Ryan posted the comic, readers and fans began to speculate about the idea, and eventually Ryan decided that it’d be cool to do a short story anthology exploring the concept in more depth! Matt Bennardo and I came on at that point to help manage the task of compiling the actual anthology—we held a public call for entries, and ended up getting almost 700 submissions. Choosing our favorite 34 was a tough task, but I think the fact that the stories come from all sorts of people with all sorts of different perspectives on life makes the book diverse and really compelling! Our next step was to shop the book to publishers. We found many who were intrigued by the idea, or even really liked it, but didn’t feel they could sell it. So we eventually decided to publish the book ourselves, and as sort of a challenge, we asked all our fans to buy it on the same day in an effort to get onto the Amazon.com bestsellers list. On the book’s release day, we shot all the way to #1! It was pretty amazing, and I think it’s the first time an independent anthology has ever been #1 on Amazon. We discovered later that Glenn Beck (among others) had a book that came out the same day, and on his radio show he complained about not being #1, calling us part of a “liberal culture of death.” That’s hilarious and insane and it just added more fuel to the fire. Once people read the book and fell in love with it (hooray! ), we got a lot of requests from writers who’d missed the original submission window and really wanted to be involved in another volume. So we re-opened submissions, and this time got nearly 2,000 stories, from writers on every continent (including Antarctica!). We had the difficult task (again) of paring that field down to our favorite 31, and this time we decided to partner with Grand Central Publishing to bring the book to a wider market. That book, THIS IS HOW YOU DIE, comes out in July and we couldn’t be more excited about it! You’ve enjoyed some success with the book titles; how has that changed your life? When we released the first book, it had been such a long process of compiling and editing and designing and pitching the manuscript that I actually breathed a sigh of relief: “Finally, this thing is done.” How wrong I was! It took off in an amazing and totally unpredictable way. That’s super-great because it means that people read and loved the book, of course! But it’s also been a crash course education in publishing. We’re in this weird flux period where business models are changing, and just trying to stay informed about what’s going on in the world of media is a full-time job by itself. But we’re very grateful that folks have responded so well to the Machine of Death idea and it’s given us a lot of opportunities to do fun things like hold stage shows, invite various forms of participation from fans and readers, and now, of course, make the game. None of which would have been possible without people taking a chance on the first book! How closely connected is the game to the books? It’s yet another exploration of the core concept. All the stories in both books start with the common theme, but then branch off in different directions: some stories are funny, others are sad, some are serious, some outlandish, and they cover many, many different genres. The game is essentially another spoke off of that same hub—it’s not an adaptation of any story in particular; it’s a new and different (and much wackier) take on the basic idea of “What would it mean if this machine actually existed?” Who came up with the idea to create the game? And how did you go about getting it from idea to tabletop? The basic idea was mine. In the books, the machines issue little cards with just a word or two printed on them, listing your cause of death and nothing else. We printed a bunch of them just for fun, to use as promotional materials. And when I held a huge stack of them in my hand, I had an epiphany: “This is a deck of cards!” We went through a long process of developing and testing different games, and the idea of figuring out how to make someone meet their predicted doom (in a morbid but very cartoonish way) kept coming up as the perfect game. Refining the mechanics was a long task, but I’m really happy with where it ended up! So, is the game more storytelling, card playing, or dice rolling? Or an even mix of all 3? It’s mostly storytelling. There is some very, very light strategy in terms of choosing what cards to play at various times, and you do have to roll a die at points, but both are just constructs to force you into different storytelling situations—you have to adapt and change your story on the fly as circumstances change. So it’s not a good game for people who like complex strategy games like Dominion, but it’s great for folks who can riff and joke around and make up outlandish stories with their friends. Do you think we as humans are locked into a single “fate,” and will meet it regardless of our life/decisions? I think it doesn’t really matter whether we are or not, since we have the perception of free will! But part of the fun of the game (and books) is definitely that even when you think your fate is locked—for example, you receive a death prediction reading “OLD AGE”—it may not mean what you think. In the world of MOD, an old person could fall asleep at the wheel and run you down in a crosswalk, and that’d still count as OLD AGE. Is that considered fate? Who knows? How deep did you get in the game design process? Was it a large collaborative effort, or did one person take the majority of the workload? I took the lead, but I definitely sought out the help of talented collaborators as well. People with experience in game design, people with fun senses of humor to help playtest, and of course my good friend Kris Straub to help design the visual look of the game and contribute jokes. I do think it’s important to have a single vision at the head of a project like this, where tone is so key, to be able to make final decisions on “this is how this will look; this is how that text should be worded.” But I have been trying very hard to surround myself with more talented people than me, because—especially now that the game has grown in complexity with the success of the Kickstarter—it’d be just too much for one person to handle! I’d never get it done. How long and how many iterations of the game did you work through to arrive with the finished product? The very first glimmers of what this game would become were developed about two years ago, in a simpler version called “Hitman on a Budget.” It was also a “creative assassination” storytelling game, using only the original set of death cards, but the game mechanics were very different, and it lent itself to long, slow-paced gaming sessions requiring lots of people, which made it hard to play on a whim. Once we decided that this needed to be a more elaborate game with specialized cards, we were able to workshop different modes of play with testing groups, and continued to iterate and playtest until Kris and I felt confident that we’d landed on the best version. He and I have played a lot of 2-player mode, too, which is something we could never do with the earlier versions (which always required at least a third to act as a judge). Are you a big gamer yourself? What are some of your favorite board/card games of all time? I like to play party games, but I know there a lot out there that I haven’t gotten around to playing. I think in a way that’s good—I made a game that I would like, and hopefully the wider audience for party games will like it too. But I love fun card games like Fluxx and We Didn’t Playtest This At All, which is a ton of fun to whip out with a big group and get everyone playing really quickly. 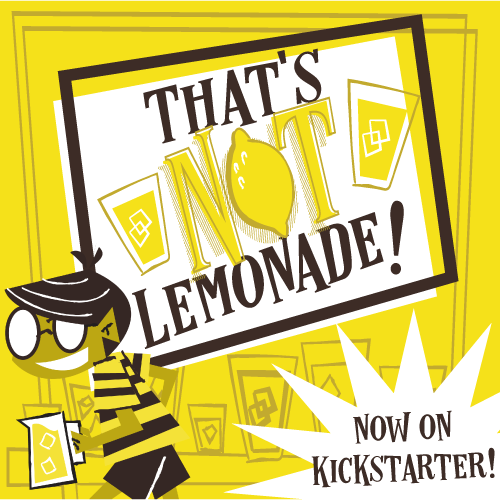 How surprised are you at the raging success you’ve had with the Kickstarter campaign? Favorite 4-syllable word in the English language? Who shot first? Han Solo or Greedo? This isn’t even a question. Has anybody EVER said Greedo? Favorite Hogwarts house? I don’t think Hufflepuff gets enough love. There’s some great kids buried in there, I bet. Give them a chance! Favorite deceased author? I’m really falling in love with L. Frank Baum these days. He wrote the Oz books, of course, but he also wrote girls’ books under the pseudonym Edith Van Dyne. He was fairly progressive for his time. Favorite Hobbit? Milbred Thatchgrubbin. He wasn’t in any of the books, but he’s the best one of them all. We'd like to thank David for taking some time away from his busy schedule. If you'd like to check out Machine of Death on Kickstarter you can find it here. And you can follow David on Twitter @Malki! As always, thanks for reading, and don't forget, you can find us on Facebook and Twitter to continue the conversations!